Lina Ball Modular is a playful seating solution, comprised of a composition of three large soft upholstered balls and a smaller ball. The Ball modular is a welcome revival to any interior that requires an injection of creative playful seating. 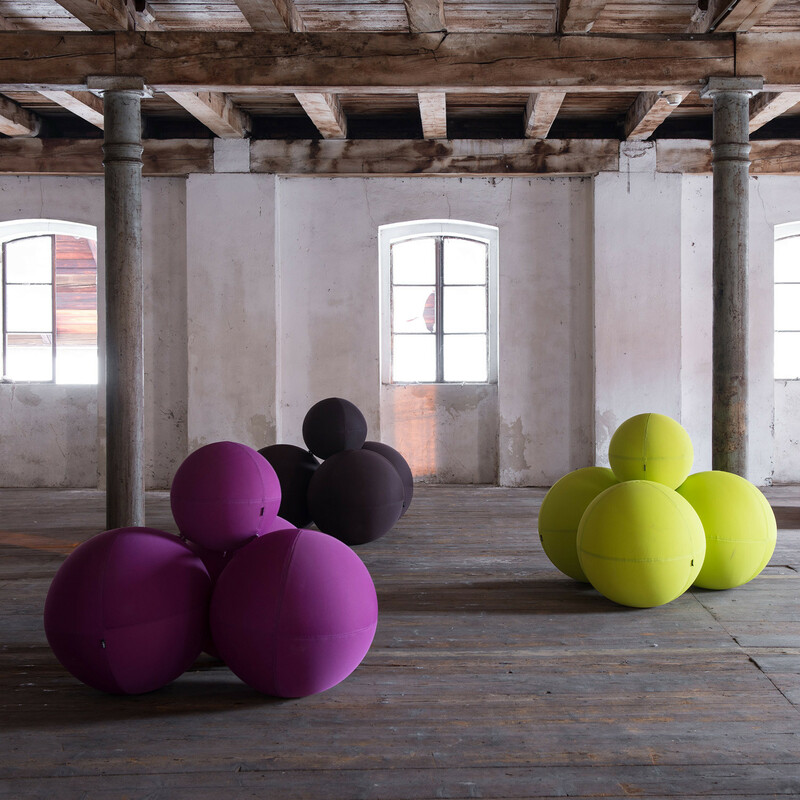 The Lina Ball Modular small ball on top of the three larger balls acts as a two-in-one and can be used as either a backrest or armrest. 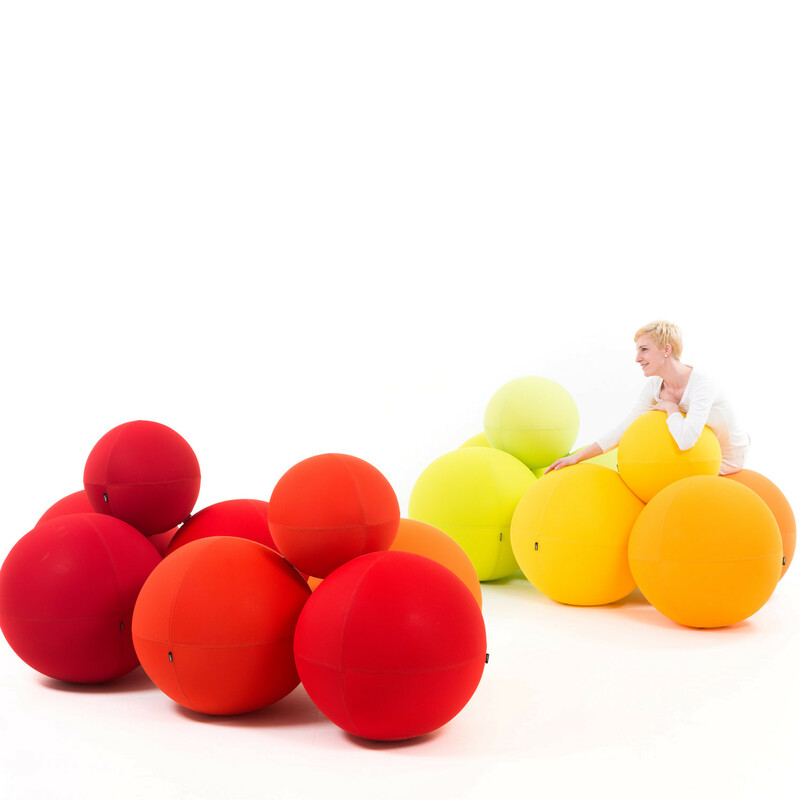 Ball Modular encourages impromptu chats with friends or colleagues depending on the environment you choose place it. However the users chose to use it, either to sit on, to take a short rest, or to meet, in the reception lobby, breakout or at the airport, you simply lean on the small ball-backrest and enjoy our time. Even when there are more persons sitting on Lina Ball Modular at the same time, the composition offers comfortable and undisturbed sitting. 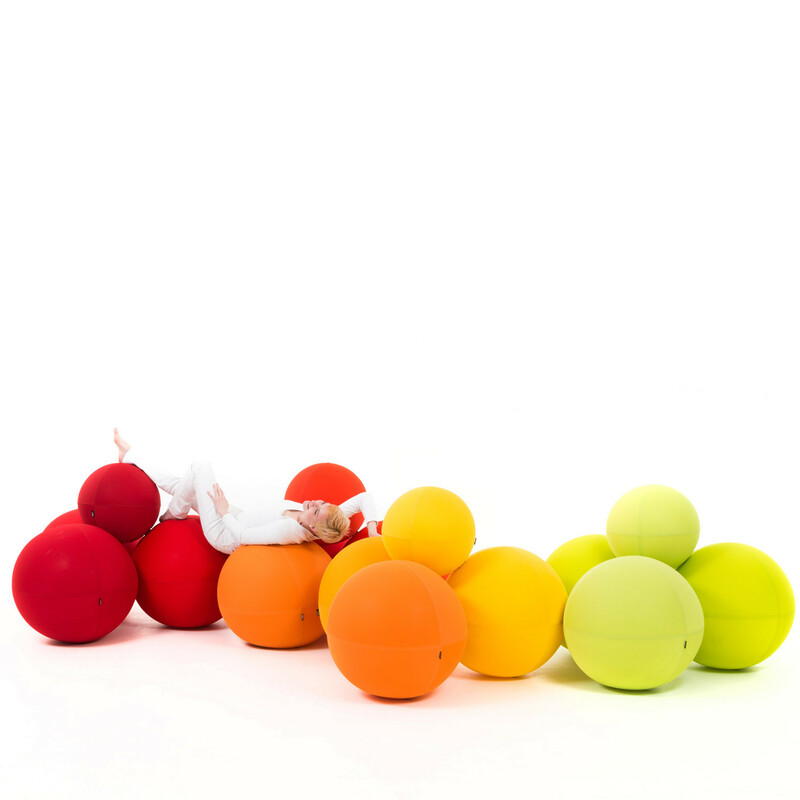 The balls of this sitting composition are covered with 3D removable covers that are obtainable in 36 colours. A combination of colours is left to your choice. When the covers get dirty, they can easily be removed for washing. The Ball composition can be used indoors or outdoors. You are requesting a price for the "Lina Ball Modular Seating"
To create a new project and add "Lina Ball Modular Seating" to it please click the button below. To add "Lina Ball Modular Seating" to an existing project please select below.